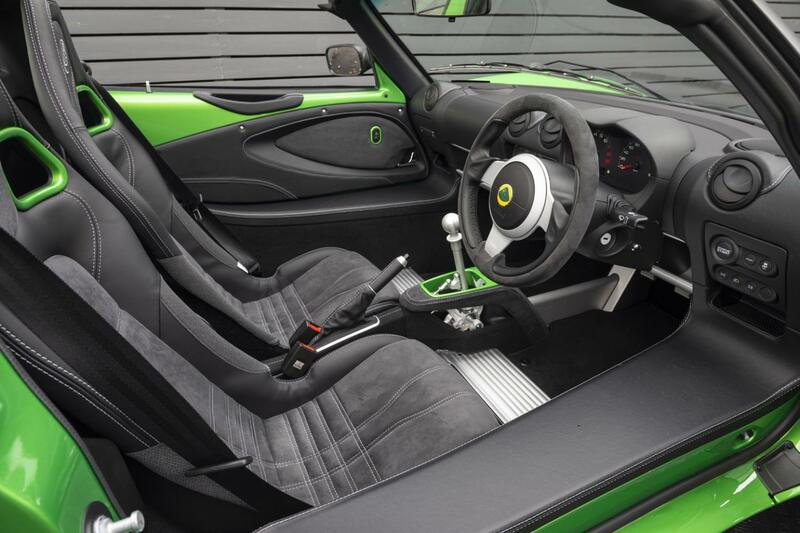 SPECIFICATION INCLUDES:- 6-SPEED MANUAL GEARBOX WITH SPORTS RATIOS, VIVID GREEN PAINT, BLACK ALCANTARA INTERIOR AND STEERING WHEEL, BLACK PACK, VIVID GREEN INTERIOR COLOUR PACK, AIR CONDITIONING, STEREO WITH TWO FRONT SPEAKERS, FULL CARPETS, CARPET MATS, BLACK FORGED ALLOYS, SOUND INSULATION. 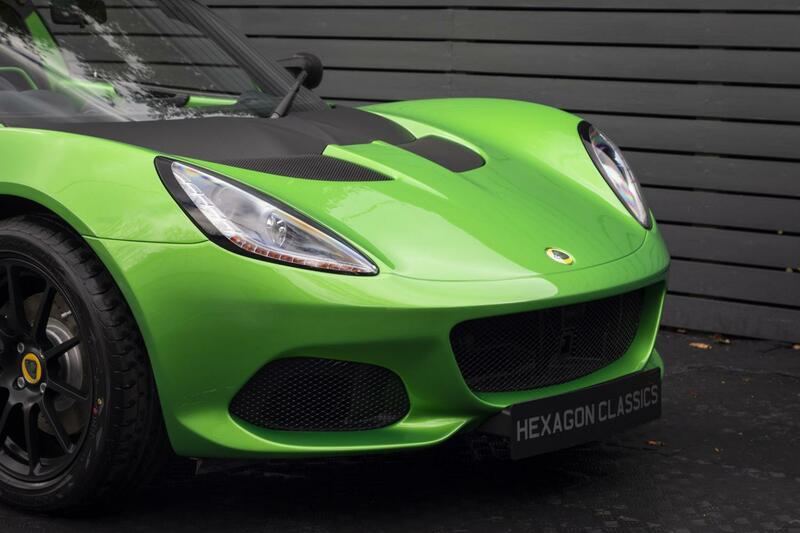 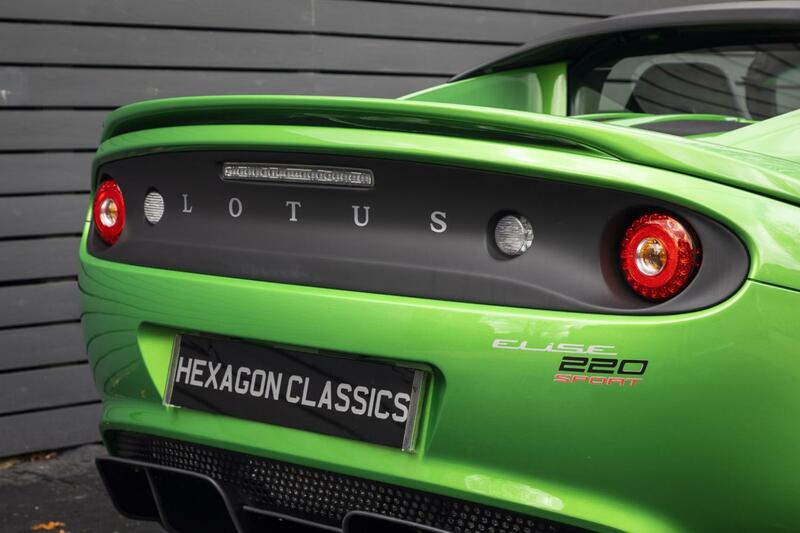 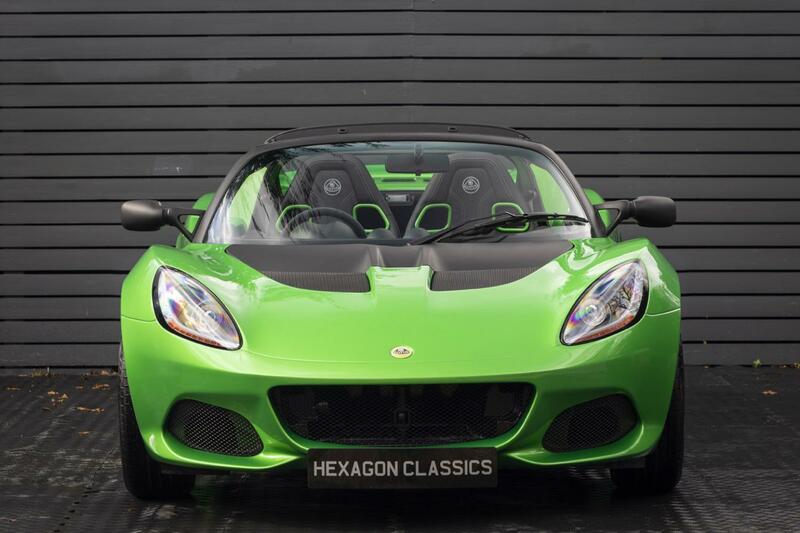 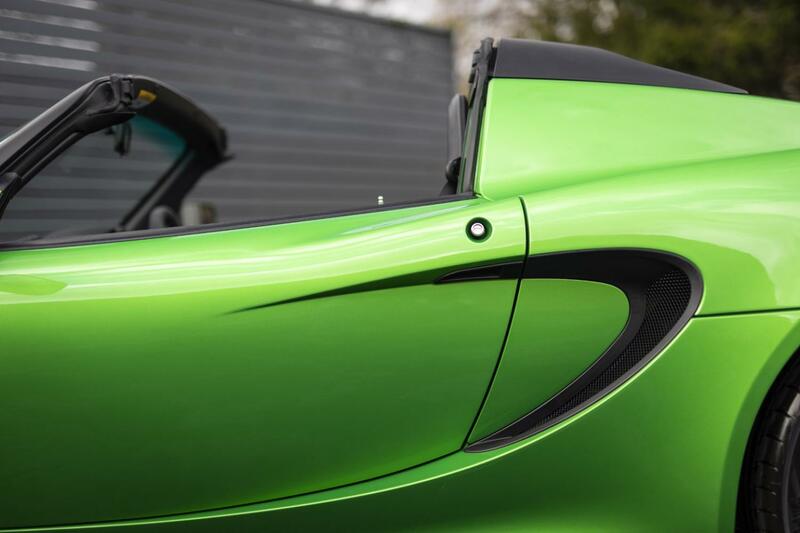 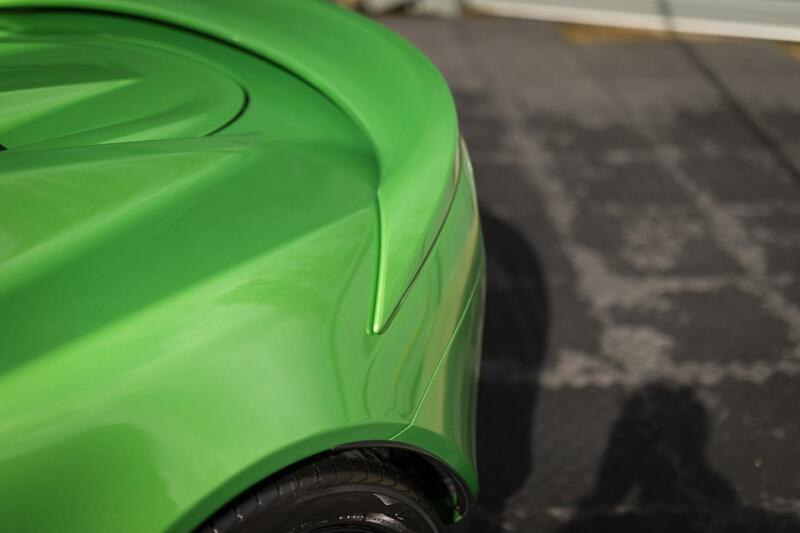 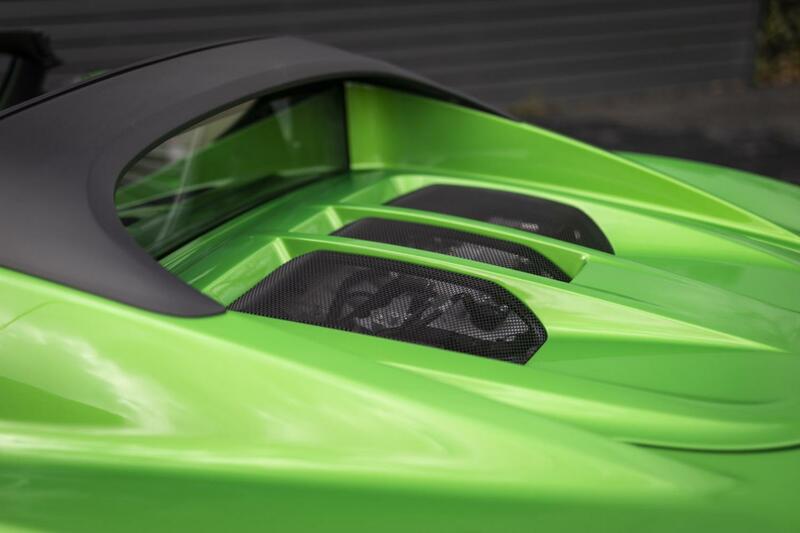 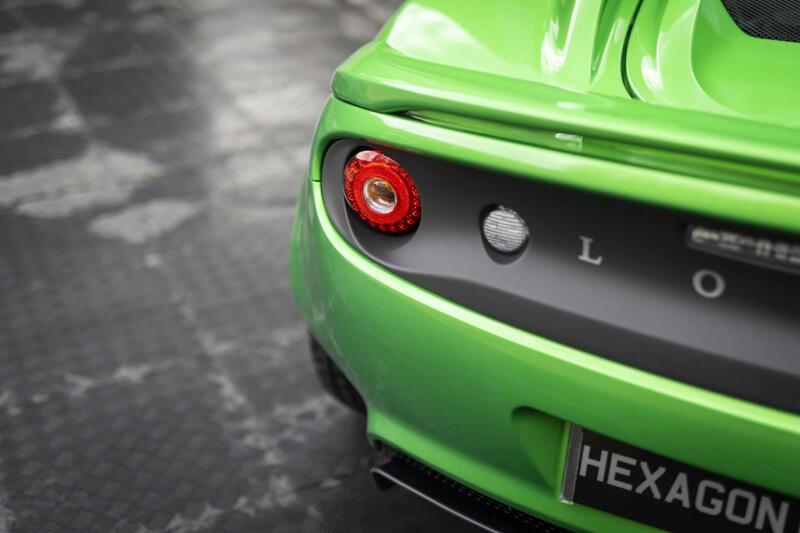 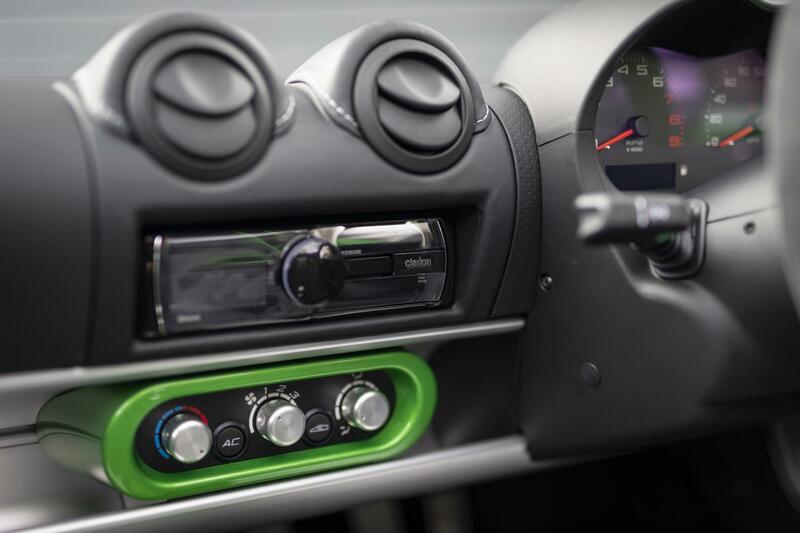 Hexagon Classics are delighted to offer this 2019 model Lotus Elise 220 Sport in Vivid Green metallic. 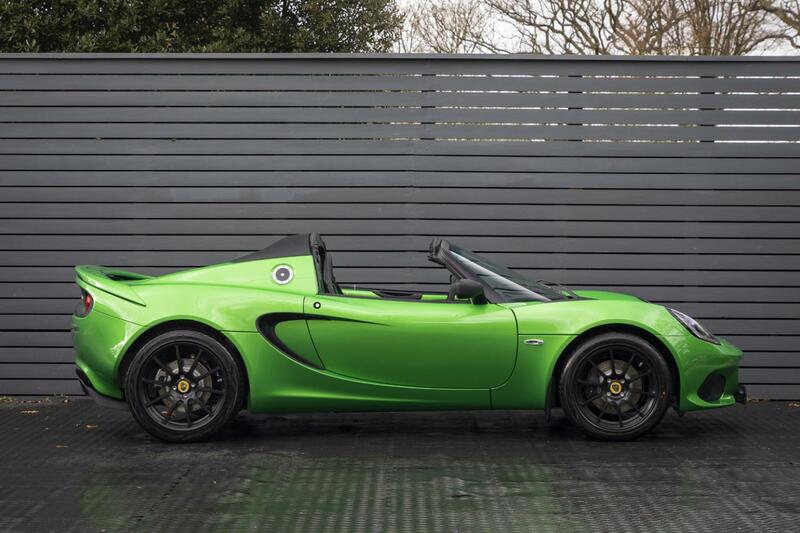 Lotus Cars are one of Britain’s most iconic automotive manufacturers and the Elise is one of the most important models ever produced by the brand. 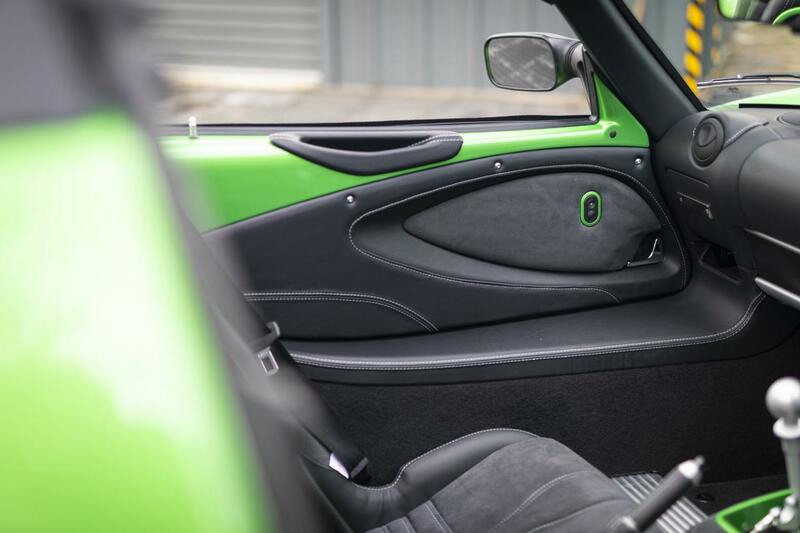 Retaining the elements that have always kept the Elise ahead of rivals, the Elise Sport is built around an extruded and bonded aluminium chassis which is both tremendously strong and torsionally stiff - weighing just 68 kg. 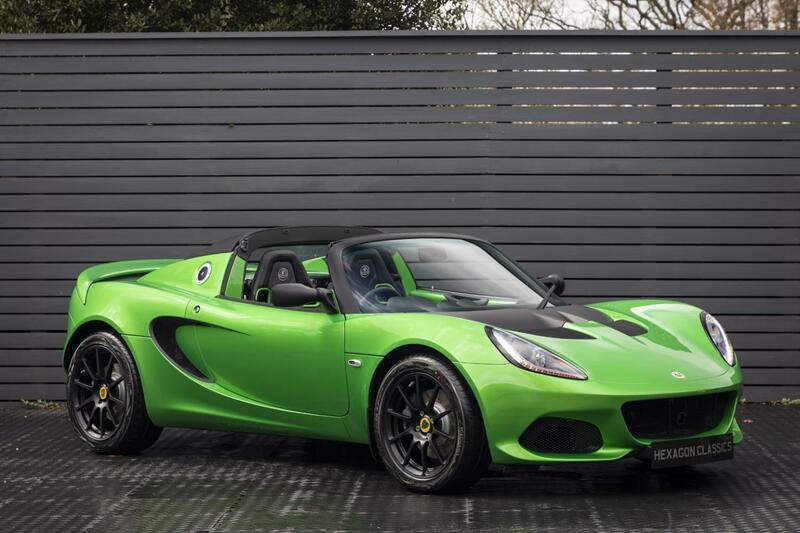 The new Elise Sport benefits from a range of improvements, which includes a 10 kg mass reduction thanks to several new components. 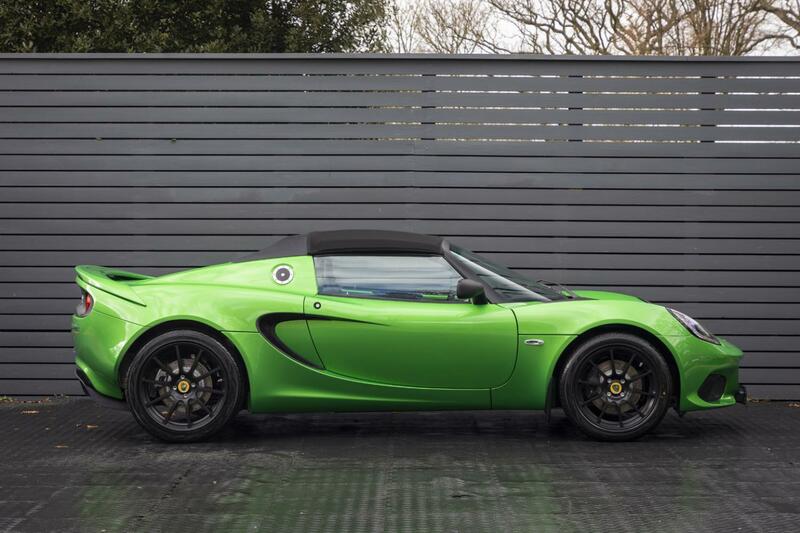 The 220 Sport is fitted with a 1.8 litre supercharged engine which has been tuned to produce 217bhp and 250Nm of torque. 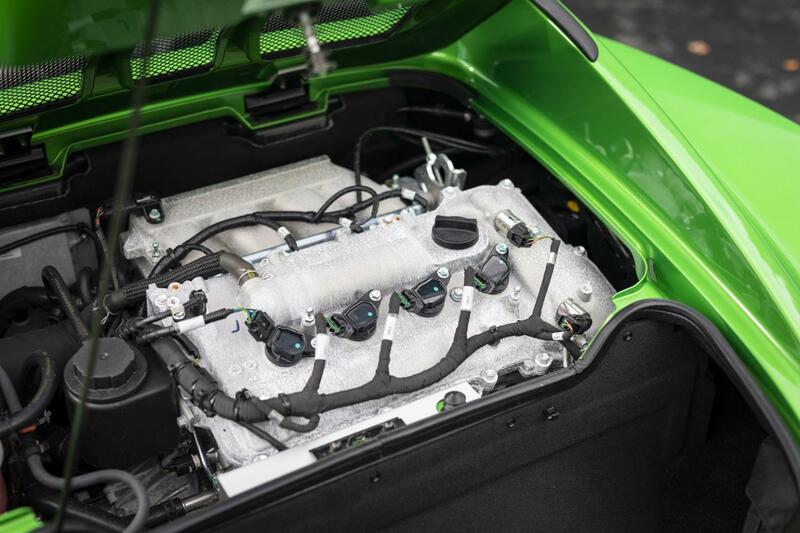 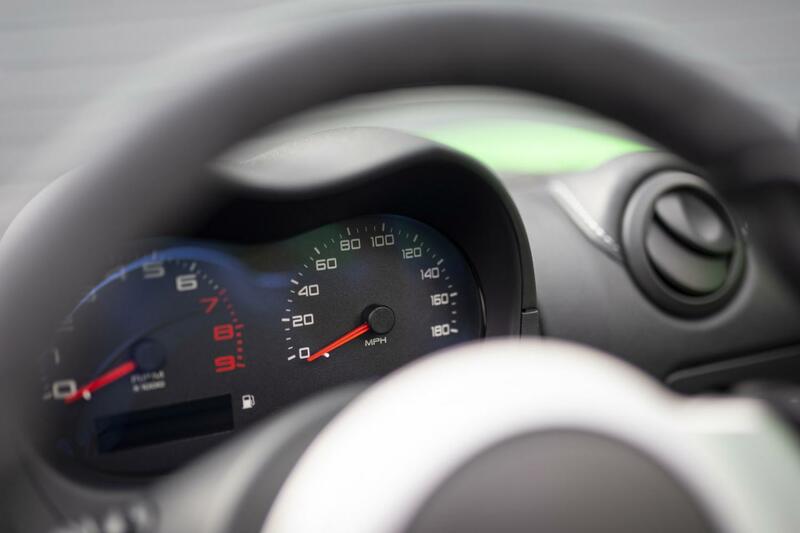 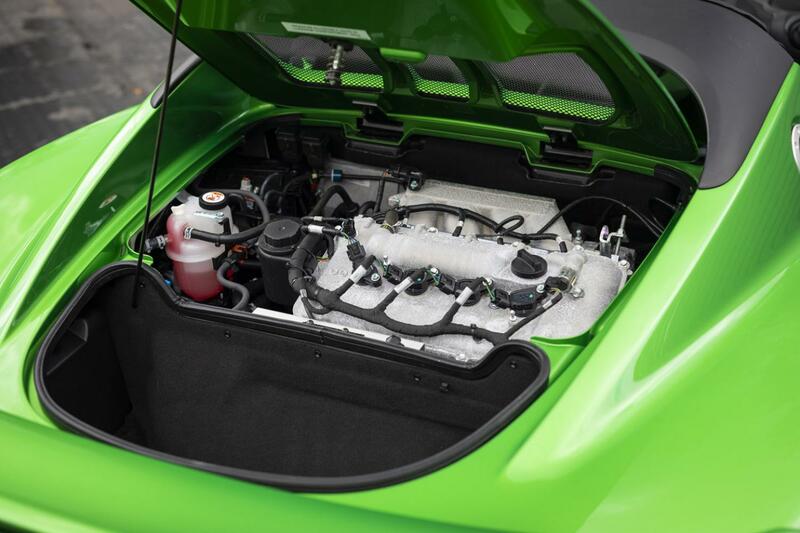 This power output combined with extremely light chassis and body of the Elise enables the car to have a benchmark power-to-weight ratio with class leading efficiency. 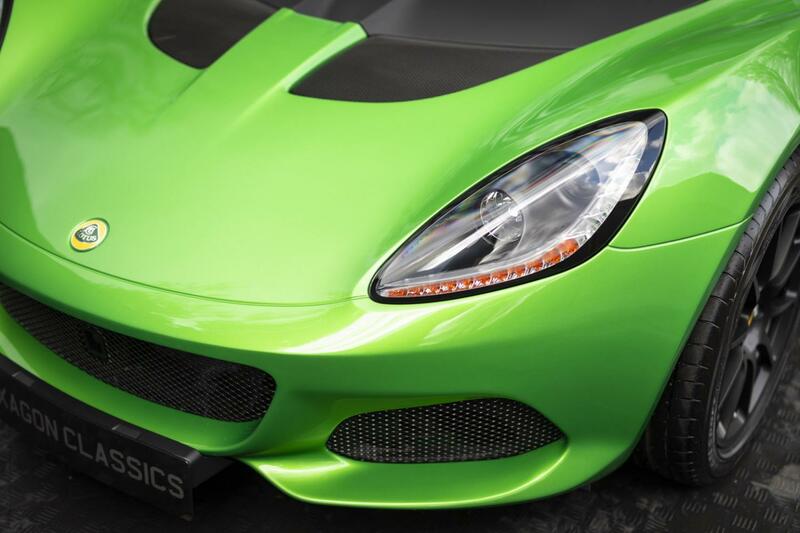 0-60mph is taken care of in just 4.2 seconds. 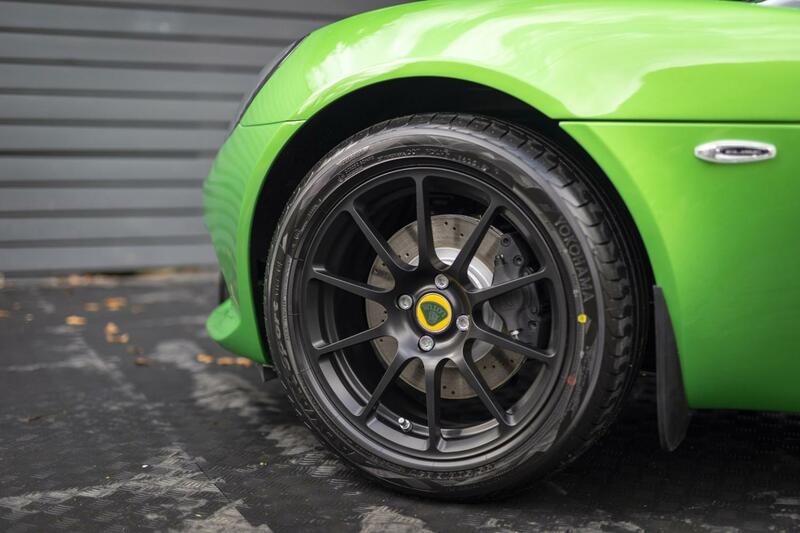 Exceptional braking performance is provided thanks to AP Racing twin piston front callipers and Brembo single piston rear callipers. 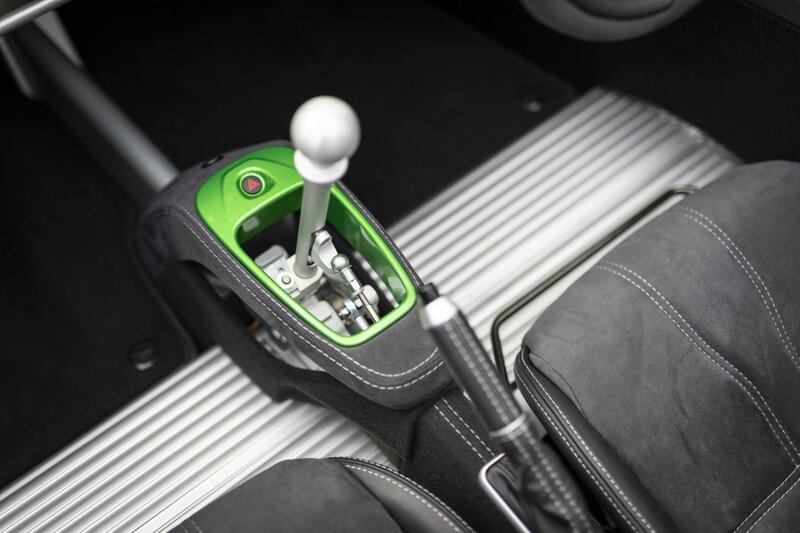 The exposed aluminium gearshift system is a visual feast, and its close sports ratios make spirited driving an absolute pleasure. 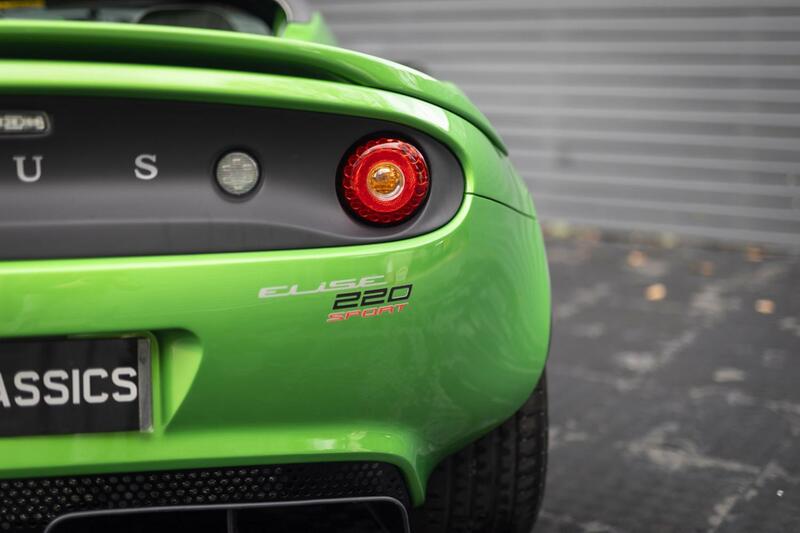 In 2017 Evo Magazine gave the Elise 220 Sport and its Sprint derivative a five-star rating. 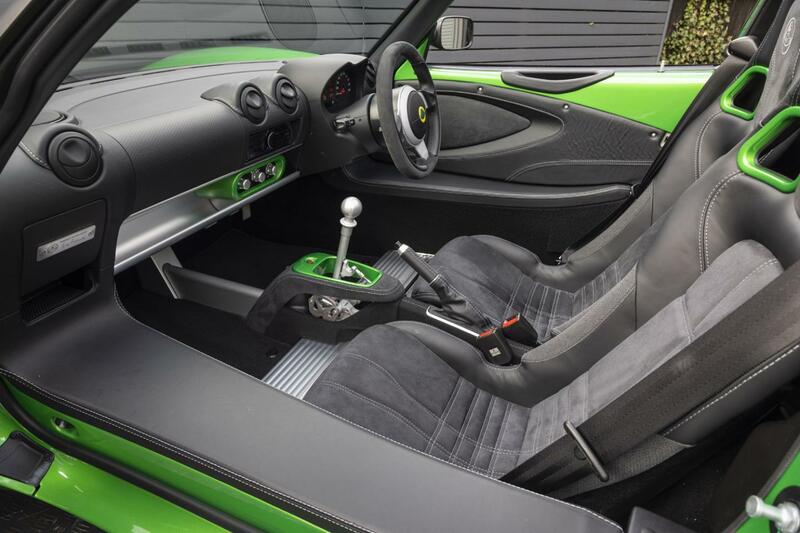 This gives great kudos to what is, in essence, a low volume sports car. 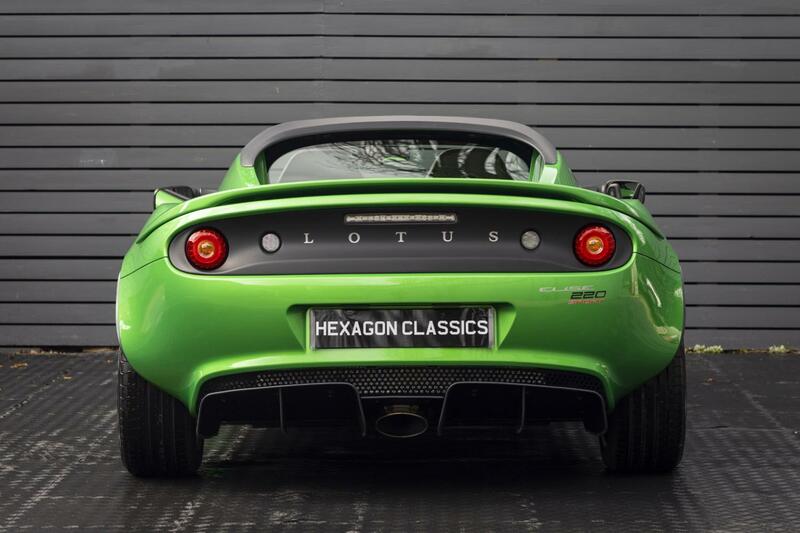 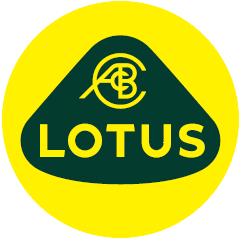 The car offers a very healthy specification that means that most of the optional Lotus creature comforts are included. 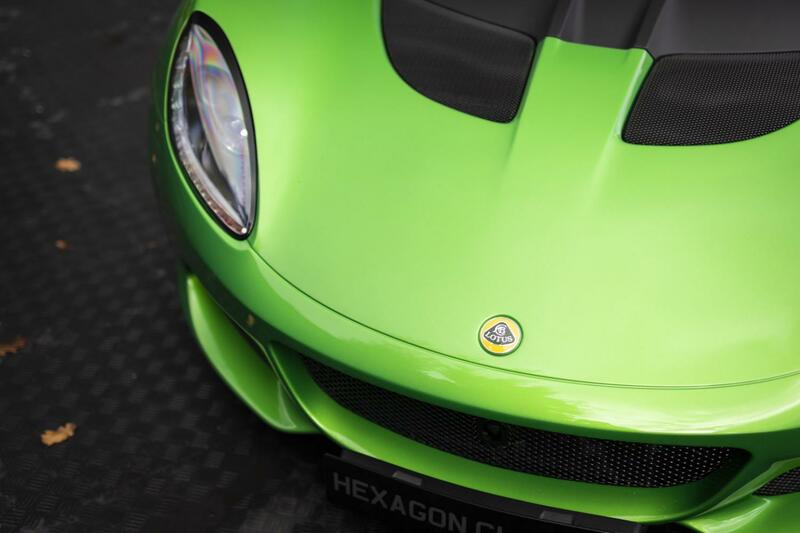 This Vivid Green car really stands out from the crowd. 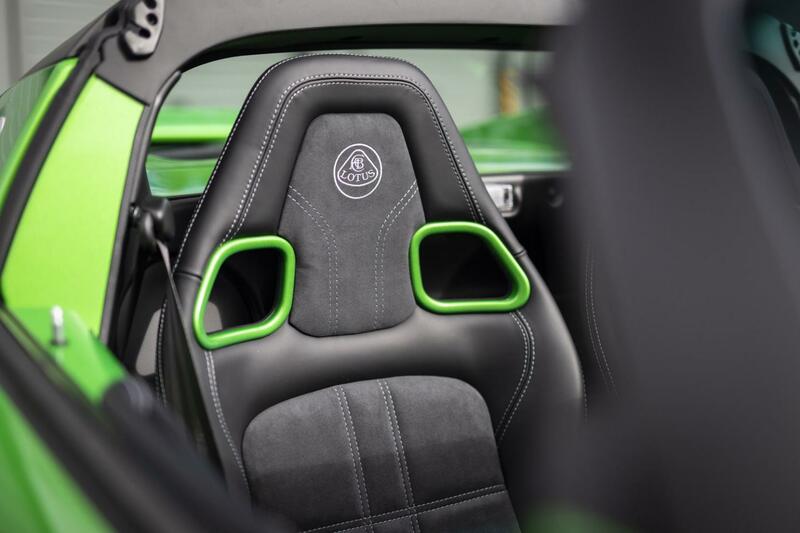 The optional black pack provides a sporty contrast to the metallic colour. 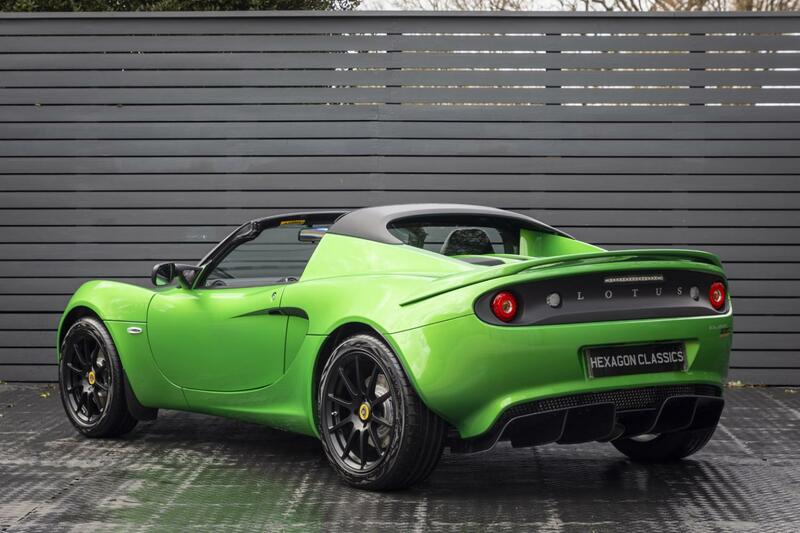 This is a great opportunity to acquire the very best of British engineering in package that is immense fun to drive but also incredibly usable daily.